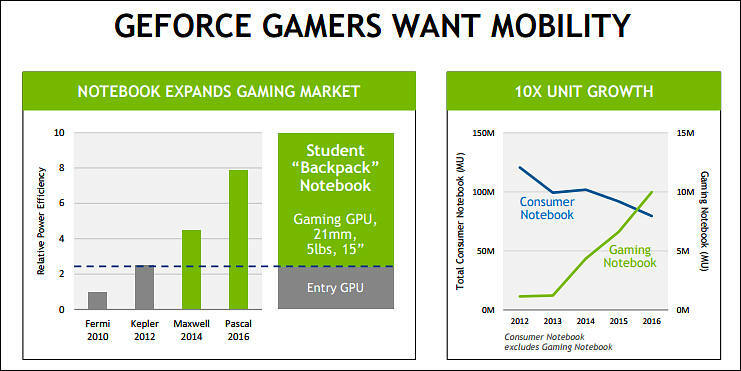 Seeing demand for consumer notebooks dropping, many IT vendors are trying to expand into the gaming notebook market. In 2016, the worldwide gaming notebook market saw 4.5 million in unit shipments, and volumes in 2017 are expected to rise to 5.1 million units. Asustek's Republic of Gamers (ROG) series and Micro-Star International (MSI) both had gaming notebook shipments of around 800,000 units in 2016, and their volumes will have a chance to increase to 1.1 million units in 2017. You can literally cry reading this. First you almost kill notebook market filling it with low power 2 core processors without adequate cooling that even they throttle like made under any load, and after this you see all this.